As an expert in smart labelling solutions, we’ve been supplying customised RFID and NFC technology in every conceivable form for almost 20 years. We use our expertise to develop and produce RFID/NFC transponders tailored to your requirements – shape, colour, size, overprint, materials, attachment and thermal, chemical and mechanical resistance. What can you do using smart-TEC RFID and NFC transponders? RFID/NFC technology makes maintenance, servicing and inventories more secure, faster and more traceable. Combining a globally unique chip ID and smart security features is more secure than a fingerprint. RFID/NFC transponders can be scanned fully and securely from a distance so that you can ‘find the needle in a haystack’. RFID/NFC technology is the link between man, machine and process, and therefore essential for Industry 4.0. An RFID/NFC solution doesn’t just give you easy access, it creates new possibilities and opens the door into the digital world. RFID/NFC technology is used for customer loyalty, transport, traffic, tourism and gaming. 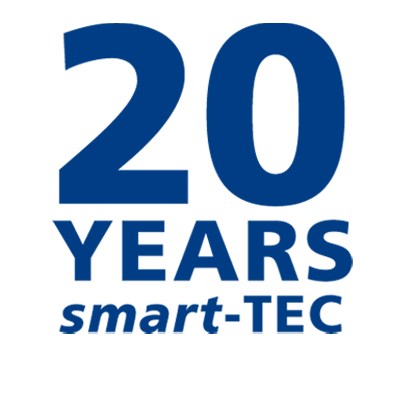 smart-TEC is the expert in customised RFID and NFC labelling solutions. Working together with our network of partners we increase the efficiency of your processes and procedures. We can use our expertise to get you ready for Industry 4.0 and the Internet of things (IoT). We analyse your processes and procedures, find ways of improving them and produce solutions involving RFID and NFC technology which will make you permanently more efficient. From the initial idea all the way to complete system integration: working closely with certified system partners, we guarantee comprehensive project and product management. Consecutive numbering, barcodes, QR codes and customised overprints make your RFID/NFC transponder visually and functionally unique. We ensure that your products are genuine and authentic using holograms, VOID effects, special colours, a function whereby the chip is destroyed if somebody attempts to remove it, and much more. Heat, cold, humidity, chemical and mechanical stresses: every project is different. We can design RFID and NFC transponders specially for your area of use. Choosing the right adhesive components is crucial to the quality of transponders. We will determine the best possible result for you in our own testing laboratory. Conventional, screen, letterpress or digital printing: using our own production facilities we can implement your requirements with precision and full flexibility. Our certified RFID/NFC transponders with explosion protection allow our technology to be used safely, even in areas of use where there is a risk of explosion.